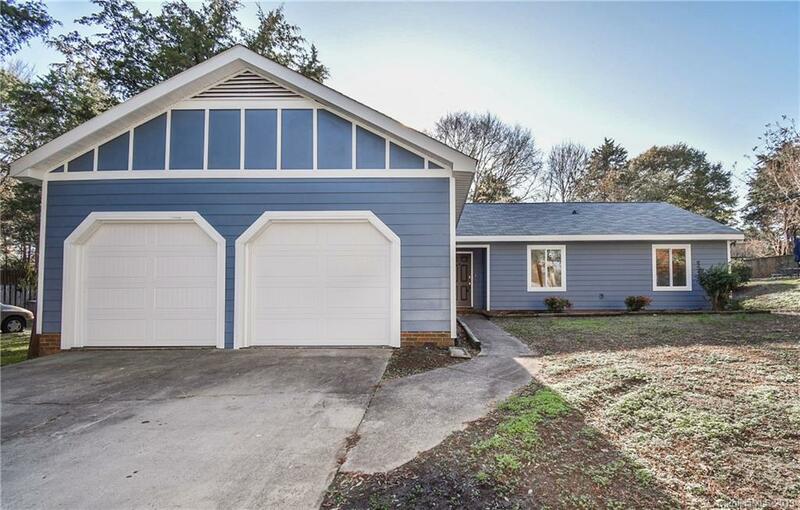 Stunning and totally remodeled "HGTV" home with 3 beds and 2 baths close to shopping and restaurants, with easy access to 485! Gorgeous brand new kitchen with white cabinets, granite counter tops, stainless steal appliances and dining area. Large great room with cathedral ceilings along with a fireplace and 2 ceiling fans provide optimal comfort. New flooring and paint throughout. Baths all updated. Laundry room located on main living area! Relax on your brand new tumbled stone patio in your private fenced in backyard. This home also features an attached two car garage with brand new garage doors- rare for this area! !